1. Write down the problems that you want to solve. 2. Use brainstorming techniques to write down everything — everything — about your problem. 3. Determine what’s different about your current situation from where you want to be. 4. Write down your goals for each part of the task. 5. Put the goals you need to do into groups or ‘chunks’, and put those in the proper order. 6. Set a time limit for your plan by choosing a realistic date for when you want to achieve a given goal. Make sure to think about how ‘big’ your goal is, and the amount of change that will have to happen. 7. Write your plan on one sheet of paper, or print it out that way. Include a time scale on the paper to show when each chunk of work should happen, and when you want to check progress you’ve made. 8. Print or write smaller parts of a larger plan. Congratulate yourself on your plans and be excited about your goals. Visualize how your life will be different once you have accomplished these goals. Science has proven that more specific goals are easier met. When adding to the detail of your plan, try to guess out what could go wrong and develop contingency plans. Set aside time to do it. Forget your usual activities including Internet, television, eating and conversation for a while and take time out to solve your problem. Think about your plan at a different time over a period of three days. If it seems stupid at any point during those three days, then change it. There’s a weird sort of magic that happens when you write up your plan on the computer or on paper. It may feel silly or unnecessary, but try it. For more complicated plans it’s pretty much the only way to go unless you enjoy making lots of adjustments as you go. For organizing your thoughts, try the freeware program Freemind. Known as a ‘mind-map’ program, it is flexible, easy to use, and most importantly, useful. A link to the main website (true to it’s GNU, free-use roots, the main website is a wiki) is included below. 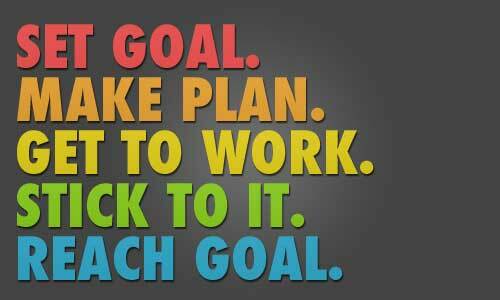 As you complete a goal, check it off your plan so you can see your progress. Remember that planning is just the work that turns chaos into error- don’t expect that just because you created a plan that it’s going to work perfectly without further effort. The plan is just the starting point. This entry was posted in Study Notes and tagged Plan by shaoxilizheng. Bookmark the permalink.